Engineering students studying abroad are required to obtain course approvals prior to departure. How the student wants to use a course will determine who must approve the course. There are a large number of courses (2500+) previously taken by engineering students who have studied abroad during a summer, semester, or academic year. For a listing of previously approved study abroad courses, log in to my.engr, click on the Academics tab and choose Study Abroad Courses. You must search by location and school. The Chief Advisor/299 Advisor should sign off on each course they are approving in column 7 of the Course Approval Summary Form (CASF). Please only approve courses from your own department. Students should seek approval from the departments that offer the courses. This allows us to use approvals across all majors. Please include the UIUC equivalent or UIUC level in column 4 of the CASF. Ex. ECE 4xx for a level. This is needed for the DARS update and degree certification. CASF forms submitted by the students will be considered incomplete if each line approval has not been signed and the bottom of the form has not been signed by the Chief Advisor of the student’s department. No signature is required in column 7 for previously approved courses. Students are instructed to bring the course approval database printout for all previously approved courses they are interested in taking so their Chief advisor can verify the student can use the course as approved. Not all courses in the course approval database can be used by all engineering students IPENG will not accept the CASF without the supporting course approval print outs. The IPENG office also reviews courses for Gen Ed, Liberal Ed and Free Electives. Courses taken abroad by all students must be taken for a letter grade. Upon receiving the host university transcript, College of Engineering students coursework will be transferred back as credit/no credit only, and can be used toward degree requirements and College of Engineering minor requirements. Please note this does NOT apply to Chemical Engineering or CS+ or LAS Physics students. Courses taken towards a non-engineering related major/minor must have the grade transferred back. Courses taken abroad are considered UIUC credit. 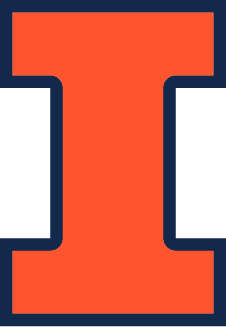 Students may study abroad during their last semester at UIUC.